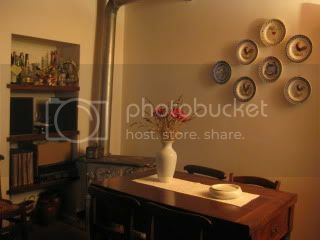 We briefly went back to our hotel Brezza and had a quick lunch at its restaurant. Finally Insalata Mista! 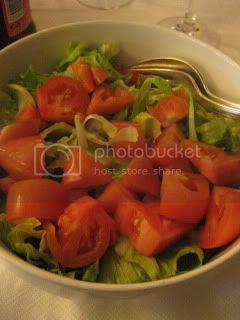 To be honest, this salad was awful…haha…it was literally a bowl of just cut (old) celery, lettuce, and tomato with no dressing. So, I just added some salt, pepper, vinegar, and olive oil to eat it. At least, I could finally eat vegetables here, so I couldn’t complain. 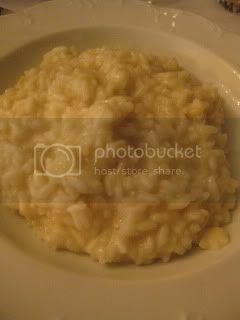 On the other hand, Riso all’Arneis (risotto, cooked with arneis wine) was obviously made-to-order and it was really great. The rice was nicely al dente and the flavor had a hint of arneis wine. Since I’ve also been craving for rice, my stomach was feeling happy. I had a nice “gohan” moment with this dish. 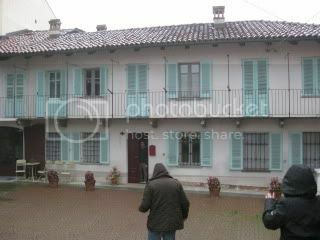 In the rainy afternoon, we visited Giovanni Canonica, who is in the heart of downtown Barolo. It was a special opportunity to meet Giovanni, because his wines are extremely hard to find outside of the region. He makes only about 2,000 bottles per year, and he has cult followers internationally. 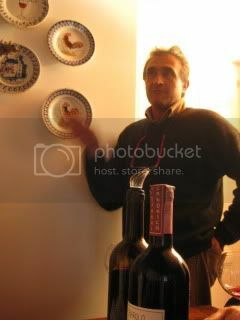 Giovanni welcomed us to his house/ winery and opened wines (yes, very rare!) for us to taste. 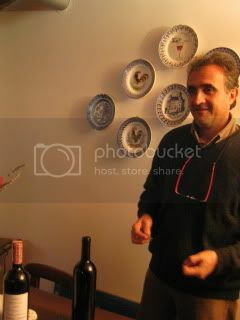 He makes only Barolo and Barbera d’Alba. That’s it. His vineyard is less than 2 ha, of which average vine age is 20+ years old. He has been making wine since early 80’s. 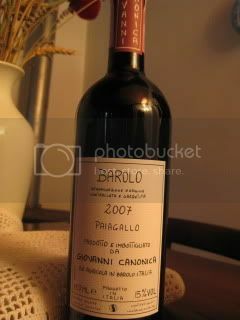 2007 Barolo…very little sulfite was used (28 mg/L). His wine making style is completely “hand-made”. Giovanni even does punch down by hand (like Rinaldi). His wines tasted so honest and so natural. Barolo was earthy, deep, and so balanced. Clean and natural…magical wines. Giovanni mentioned that 2008 vintage Barolo is a classic year for him. So, I want to get it once it’s out (and if I’m lucky enough to find it)!